Camden Belleview Station offers upscale studio, one and two bedroom apartments in Denver’s popular DTC neighborhood. Within walking distance is the RTD Lightrail station. Plus, you can commute easily anywhere along I-25, Downtown Denver, and even DIA. With attractions like Comedy Works South, Cherry Creek Reservoir and Fiddler’s Green Amphitheater close by, you have it all at Camden Belleview Station! Camden Belleview Station apartments offer stylish interiors featuring amenities like 9 and 11 ft. ceilings, granite countertops, a private patio/balcony, track lighting and hardwood-style flooring. Save on energy costs with digital thermostats, double-pane windows, and efficient appliances. Residents receive a technology package included in the total monthly rent with a savings of up to 51% off retail. This money-saving package includes high-speed internet up to 150Mbps and over 140 digital video channels through Xfinity. Use the Xfinity Go app on your smartphone or tablet to access your digital video anywhere! Our community is home to many entertaining amenities like a year-round, resort-style swimming pool, hot tub, outdoor grilling lounge, open air cabanas, even outdoor table tennis, all with Wi-Fi! Skip driving to the gym and work out at the 24-hour on-site Fitness Center, and de-clutter your space with an available bike storage area. Stop in today and begin exploring all Denver has to offer! View our available DTC apartments today. We'll save a spot for you! We offer one parking permit and space per leaseholder on a first-come first-come, first-served basis. Each additional parking space is $50/month. 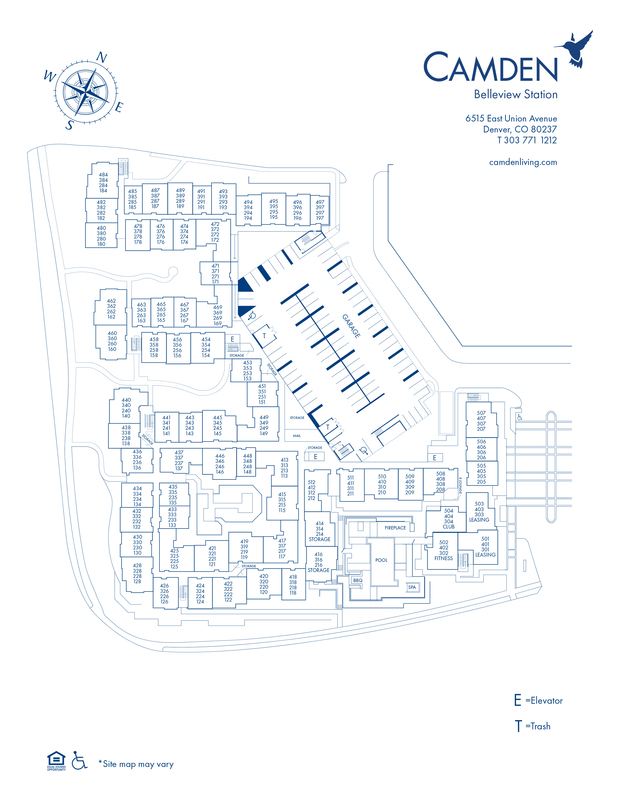 We have a six-level parking Garage for residents with ample parking for Visitors on the top floor.